Unmistakable style for an experience of total wellness the J-375TM is suitable for indoor or outdoor installation, and features a square hot tub design. Encompassing wellness in an effective, complete and satisfying way, the J-375TM utilises 50 PowerPro® jets to deliver an effective hydromassage that after a long day of work revitalises you and eases away the aches and pains of everyday life. The square hot tub design looks as at home in the garden in an outdoor installation as it does in an indoor installation and incorporates 5 seats and a lounger. 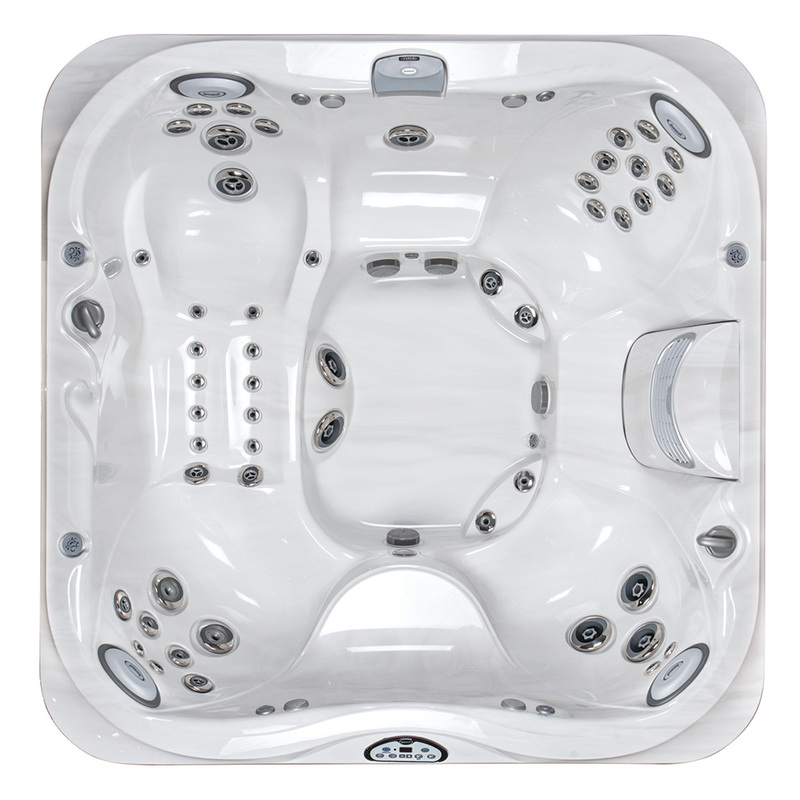 Advanced features including 4 illuminated headrests and ProLitesTM LED lighting system offer further comforts and heightens the hot tub experience. 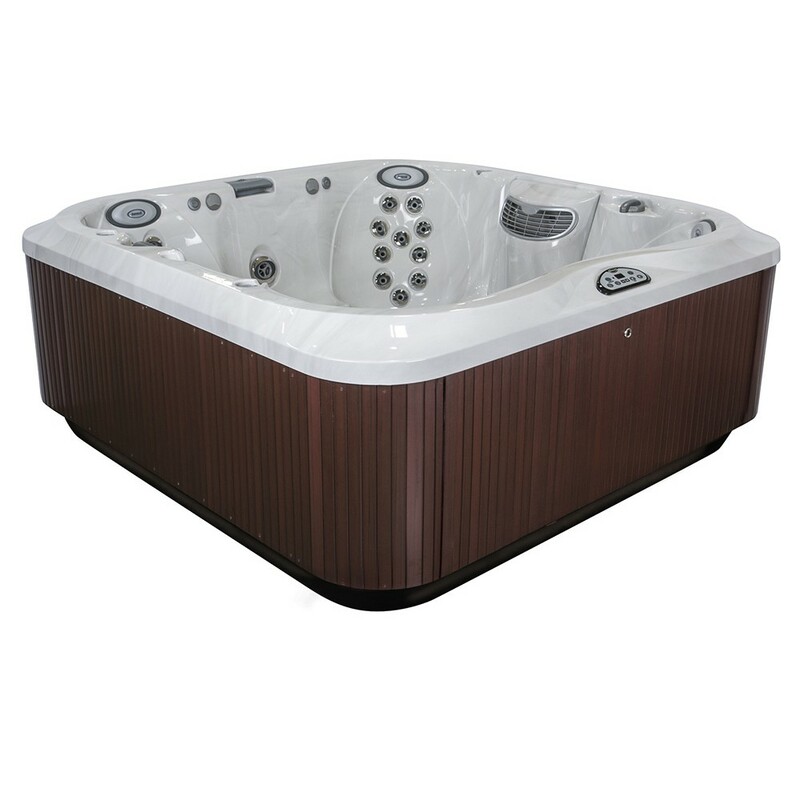 Designed to deliver a relaxing, yet stimulating massage, the Jacuzzi® J-335TM hot tub features enough seating for five to six adults. This portable hot tub is made for lounging with its 84-inch square by 36-inch deep body, ProAirTM Lounge Seat, built-in waterfall and the FX10 Therapy Seat. No matter what your aches and pains, there’s a position in the J-335TM that’s sure to soothe them. To top it all off, the enhanced LED ProLites System illuminates your J-335TM footwell, pillows, and even your cup holders as you relax to the sights, sounds and sensation of the Water Rainbow® waterfall. 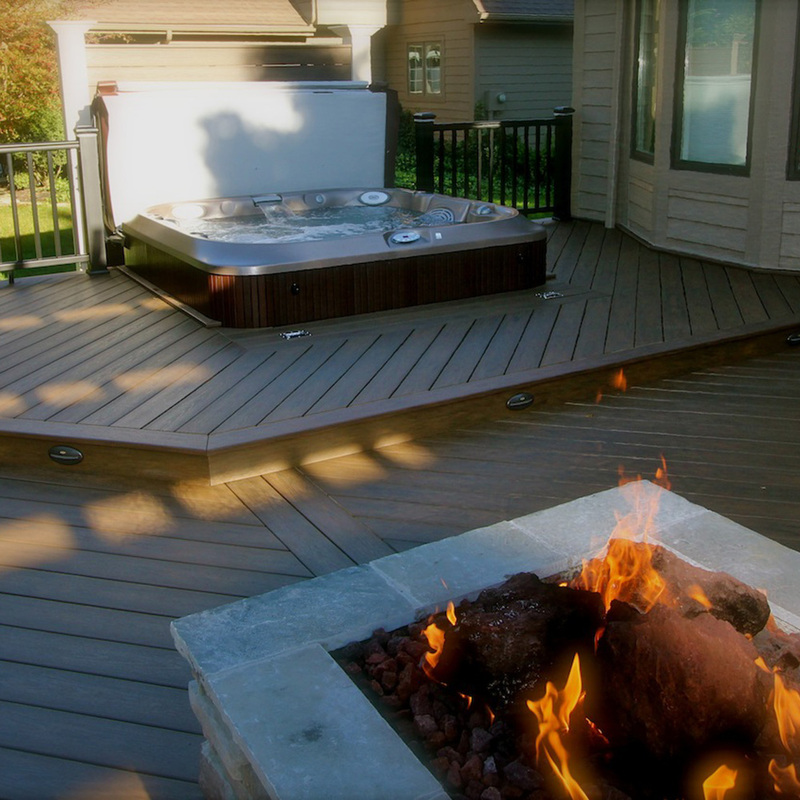 That is an all-encompassing hot tub therapy experience you’ll never get tired of.The ProAirTM Lounge Seat supplies that famous Jacuzzi® full body massage everyone talks about. The FX-10TM Therapy Seat, lounge seating, and powerful water jets, including PowerPro® FX Jets, work to ease the tension in your muscles and help reduce your overall stress and delivers deep-tissue rejuvenation. Also, the all-new BX "bubbler" jets provide a tension-dissolving massage to the calves. There are built-in waterfall and LED lighting create a synergistic hydrotherapy experience. The J-335TM spaciously accommodates up to five adults making it perfect for couples and families. Add some music to your hot tub with the Aquasound Stereo System that features an auxiliary MP3/iPort jack, or keep your hot tub as energy efficient as possible with an advanced filtration and water purification system. 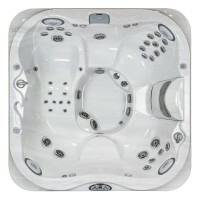 COMFORT 5-PERSON SPA WITH COMPACT LOUNGER..